NIS-02 is a side surface cleaning apparatus to clean off welding seams while hot or cold. It is composed of a light aluminum body. It can clean without scratching the protective surface film on vinyl profiles. 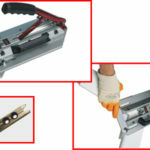 It has an adjustable cutter with dual entry, and can cut from either inside towards outside or vice versa. Extra blades are optional. It can have an inscription of your contact information to give away as a gift. It weighs 2.6 kg (5.72 lb) and measures 17 x 13 x 36 cm (7” x 5” x 14”). 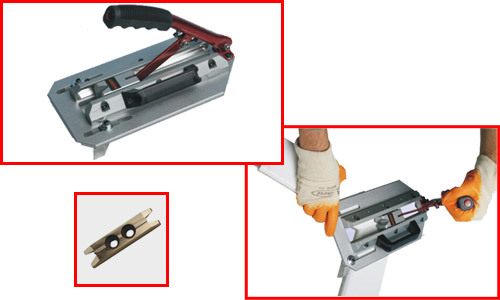 Adjustable cutter with dual entry. Cleans without scratching the protective surface film on vinyl profiles. Excellent for frame surface cleaning. It can cut from either inside towards outside or vice versa.